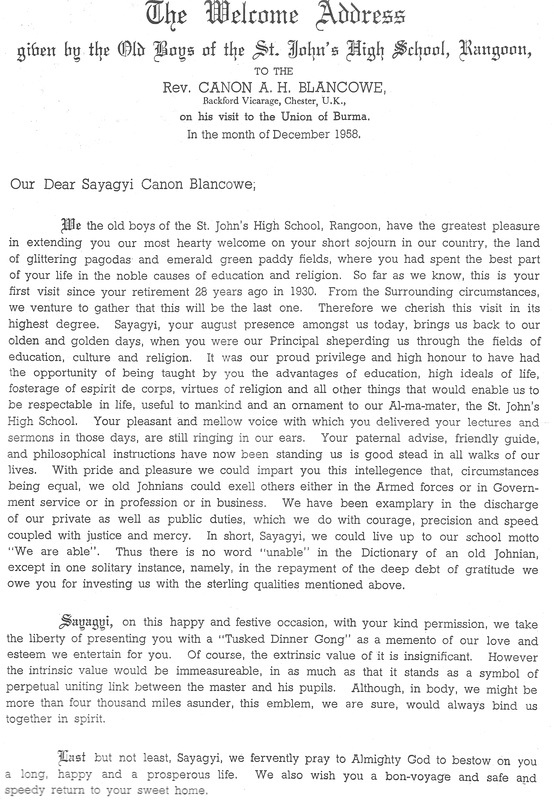 St. John's College, Rangoon Founded in 1864 by Rev'd. 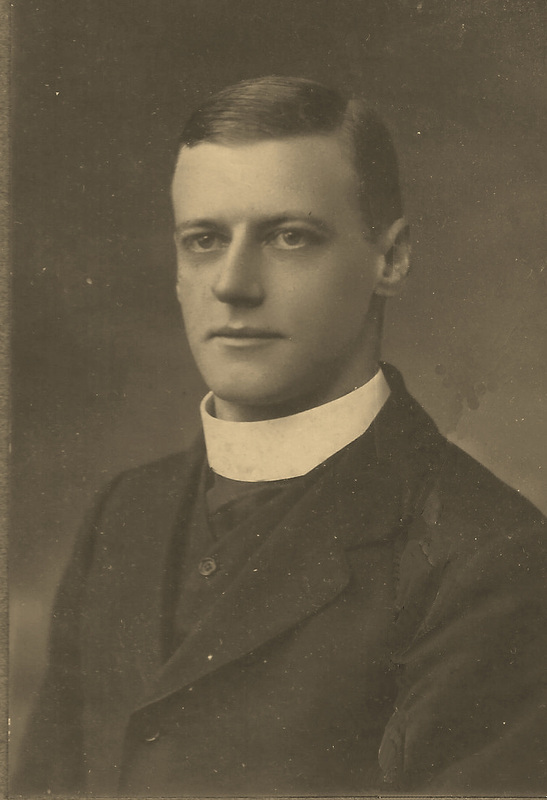 John Ebenezer Marks (see also ﻿40 Years in Burma﻿) who was also Principal. 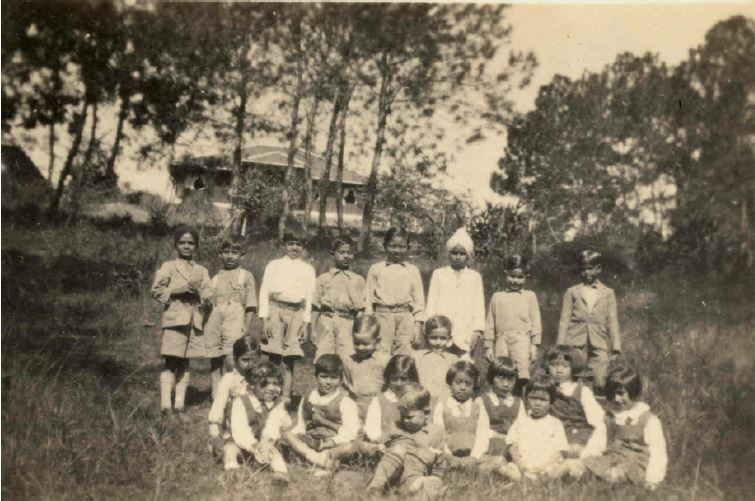 An Anglo-Vernacular School set in a compound of 13 acres. The S.P.G. 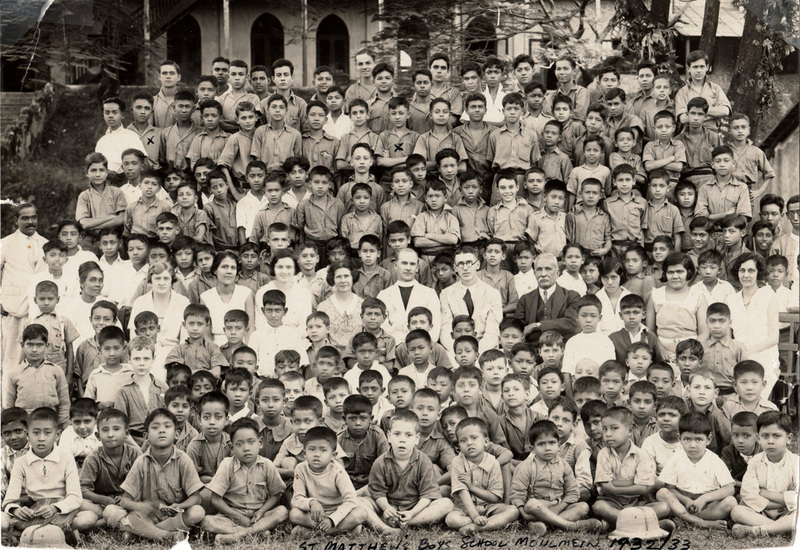 Normal School for training schoolmasters and the Diocesan Orphanage for European and Eurasian boys were attached to St. John's. See the Directories section for additional names of masters etc. and also the Photo Gallery. Rev'd. 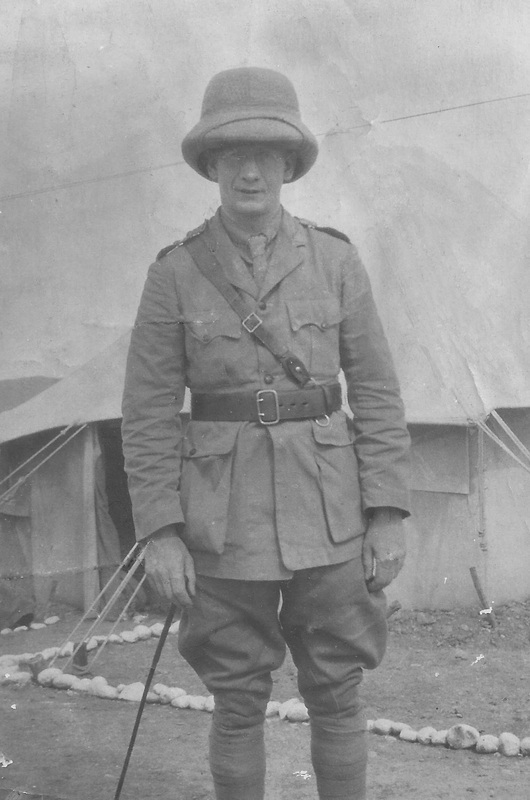 Alan [H.] Blencowe 1887 - 1978 retired as Principle in 1930's (date to be confirmed), aged 43. 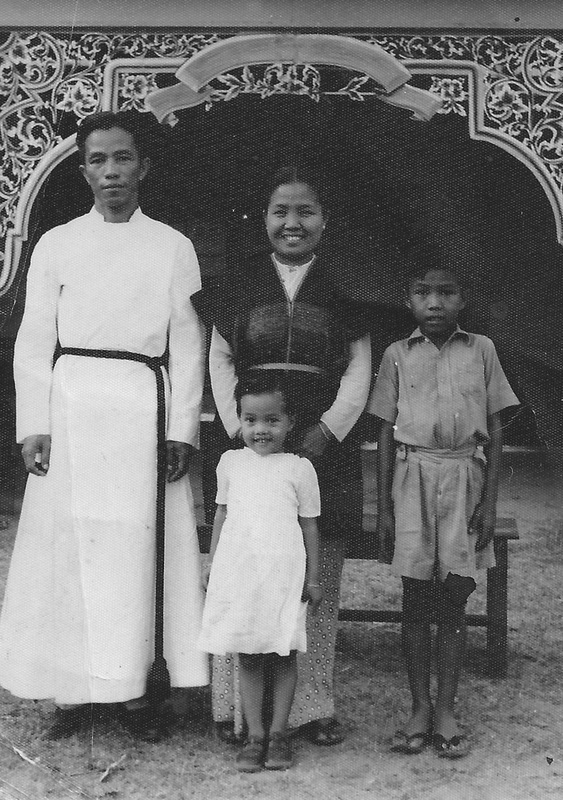 His lovely collection of the following photos were sent to us by his nephew Peter. If you can identify anyone please contact us. 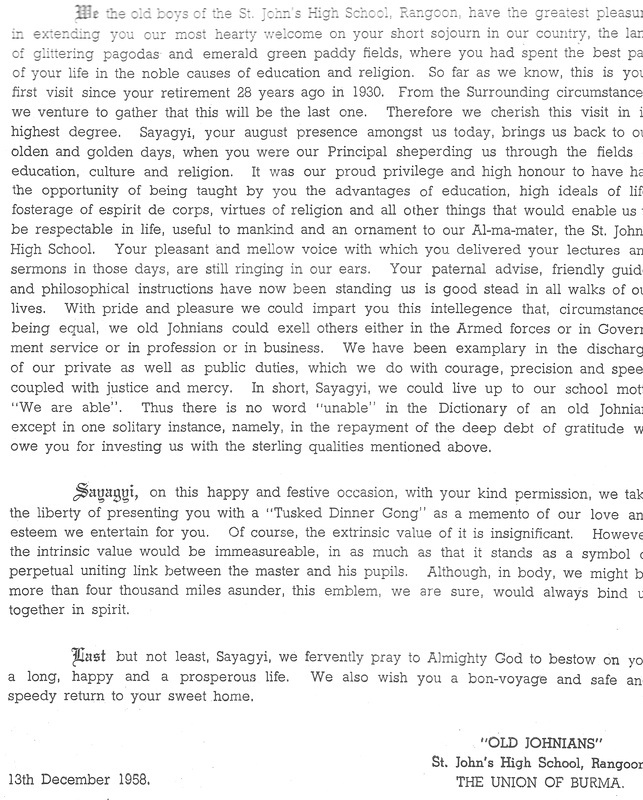 When Alan returned for a visit to the school in December 1958 his former pupils presented him with a tribute of their appreciation printed on silk and signed off by the "OLD JOHNIANS," they also presented him with an Tusked Dinner Gong as a memento of their love and esteem. 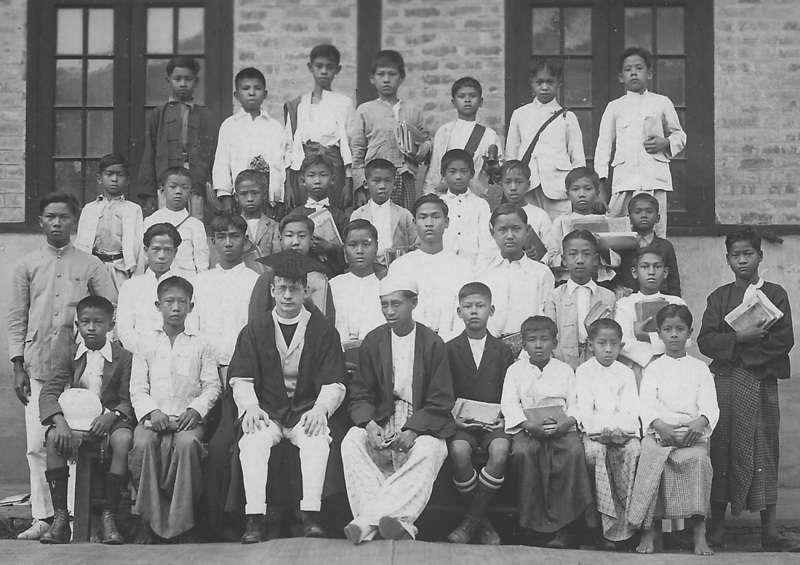 ​St John's College & Normal School, Rangoon, J. T. Best, Principal (1905) & Mrs Best, the staff and boarders, the boys in sailor suits are from the Diocesan orphanage. 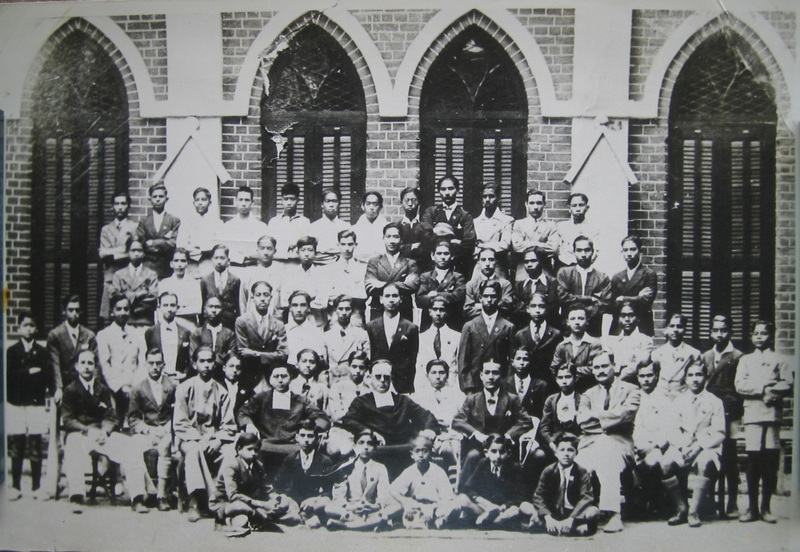 The Society for the Propagation of the Gospel founded St. John’s College in 1864 with the Rev’d. J.E. 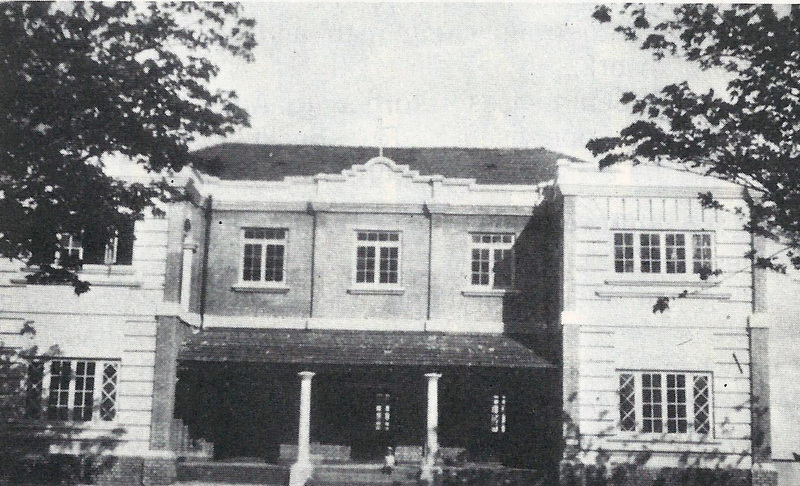 Marks in charge; the school occupied its present site (c. 1938) in 1869 and nine years later an offshoot of the College, St. Michael’s School, was established at Kemmendine. 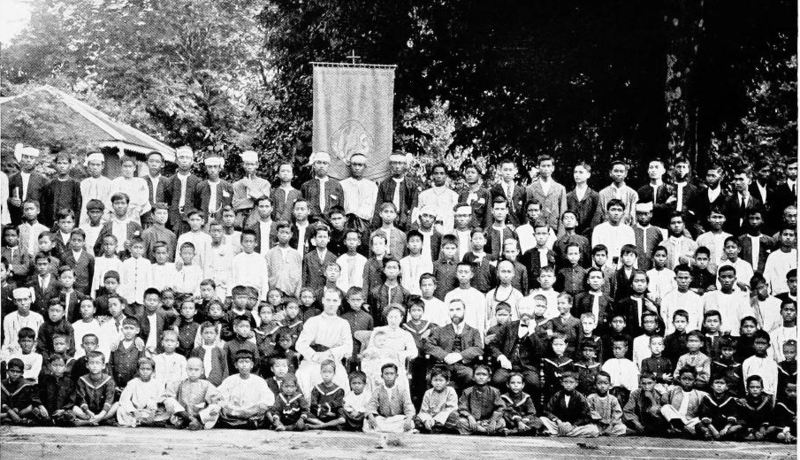 Education in Rangoon received a certain amount of official encouragement and a Government School was opened in a thatched shed in the town in 1856, with Rev’d. 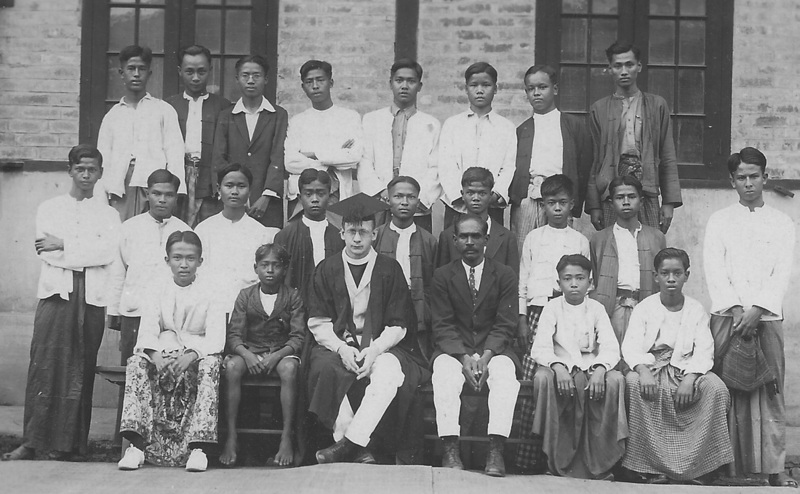 Mr Rose in charge, aided by two assistants; but the school, whose work was primarily vernacular instruction, was prohibited from giving an English education to more than thirty-five pupils and this restriction drove many parents to send their children to inefficient private schools. 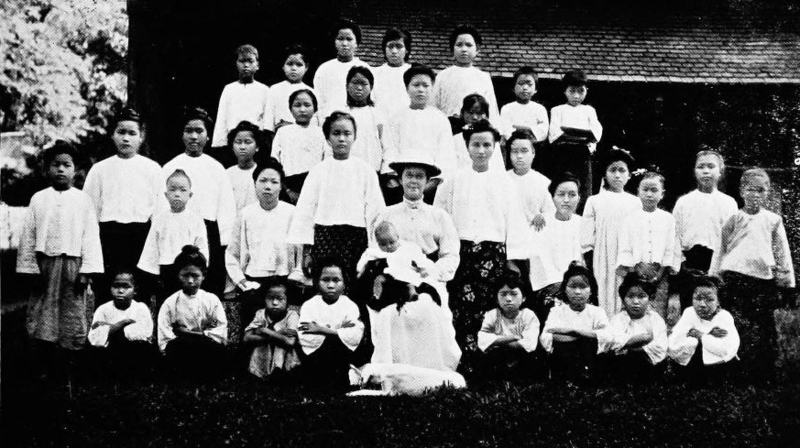 By the end of the year 1860-61 the school not unnaturally had only some thirty pupils and it was then closed. Better work was done by the religious bodies. 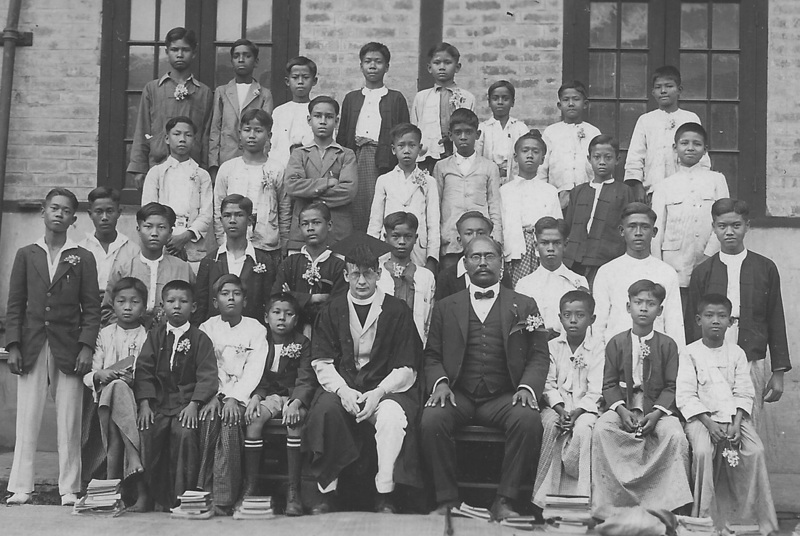 Bishop Bigandet, who was in Rangoon from 1856 till his death in 1894, founded St. Paul’s School when, in 1859, he obtained the services of three Brothers from Calcutta, who began teaching in a small building near his residence. In 1861 the school had already outgrown this accommodation and in May 1861 was moved to a small building between 35th Street and Barr Street. 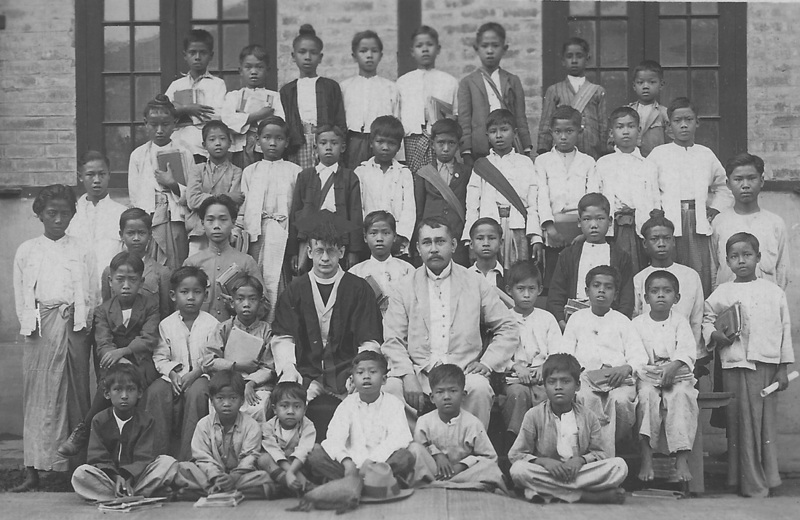 The formation of the Department of Public Instruction in 1866 gave a stimulus to educational work. 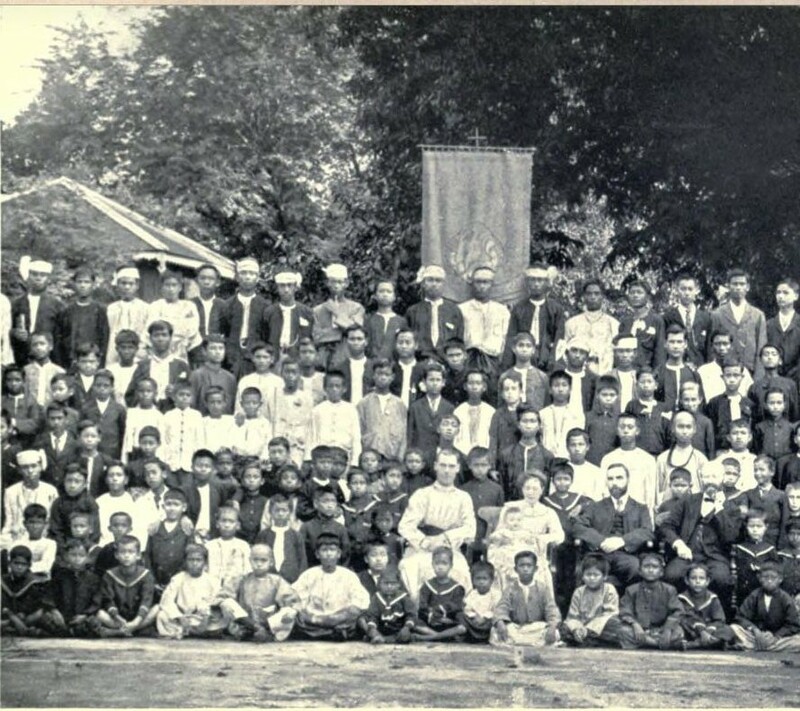 The grant-in-aid system was adopted and grants were made also for buildings. 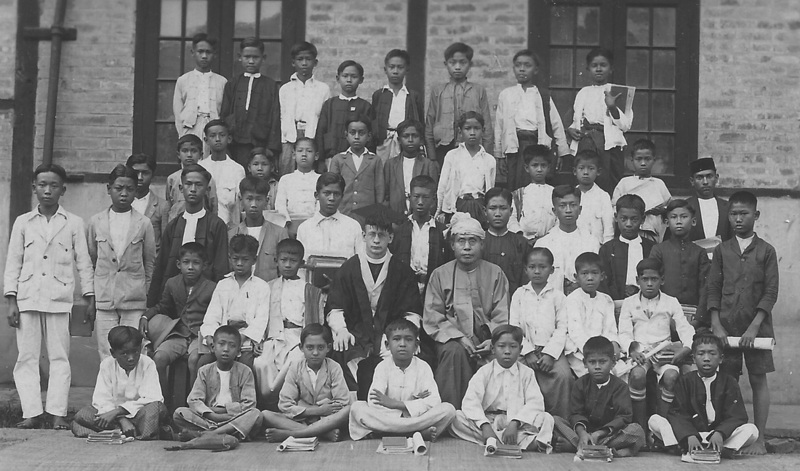 Thus the sun of Rs, 20,000 was given to St. Paul’s School in 1868 and a new school was opened near the Sule Pagoda on a site where the City Hall now stands (c. 1938.) 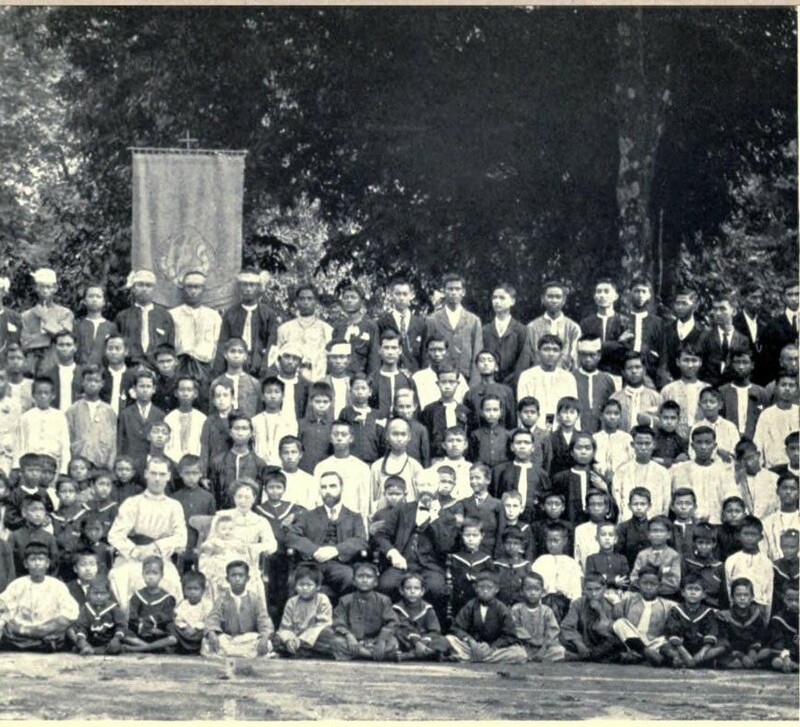 St Paul’s was probably the most flourishing school in Rangoon at this time and by 1872 the daily attendance was 245, mainly European and Anglo-Indian boys, who were instructed in English, Ancient History, geography, Arithmetic, Algebra, Euclid. 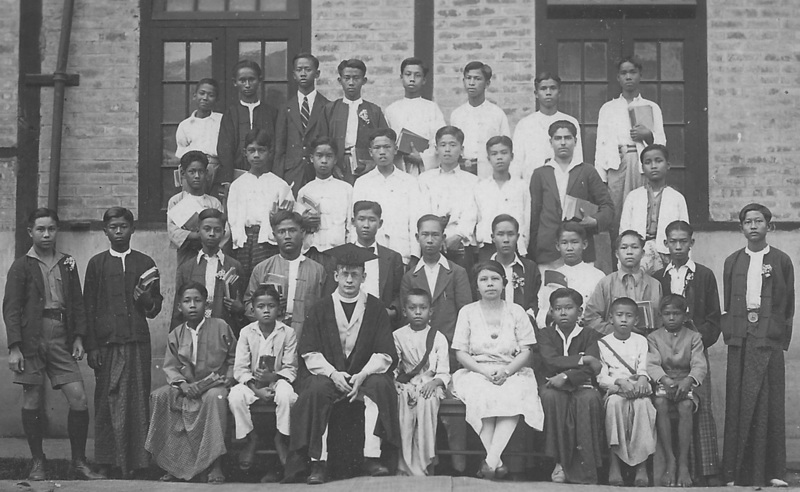 In 1862 the Anglican Diocesan Schools were founded on a site at Pagoda Road, granted by Government, under the auspices of the Society for the Promotion of Christian Knowledge; these schools were dual in character, and the boys’ and girls’ departments were separated by a wooden fence. They were under the management of a committee which included Sir Arthur Phayre and T.P. Sparks. 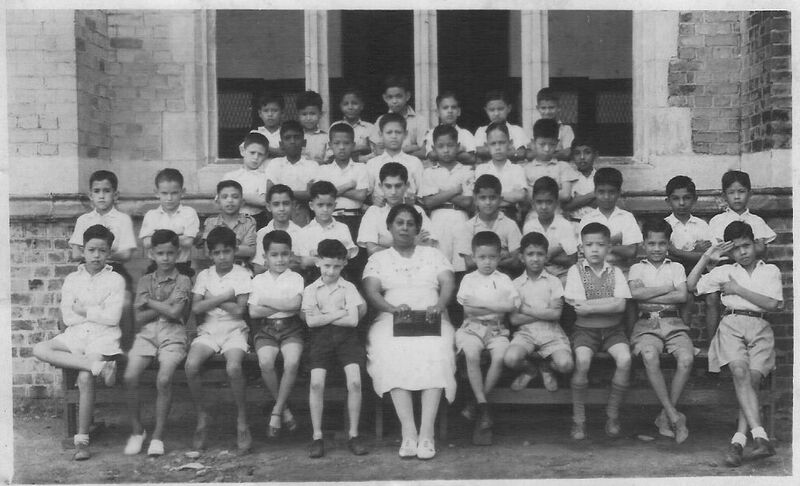 In 1866 a girls’ school St. Mary’s was founded by Miss Cook. In 1872 the American Baptist School, now known as Cushing Hall School after J.N. 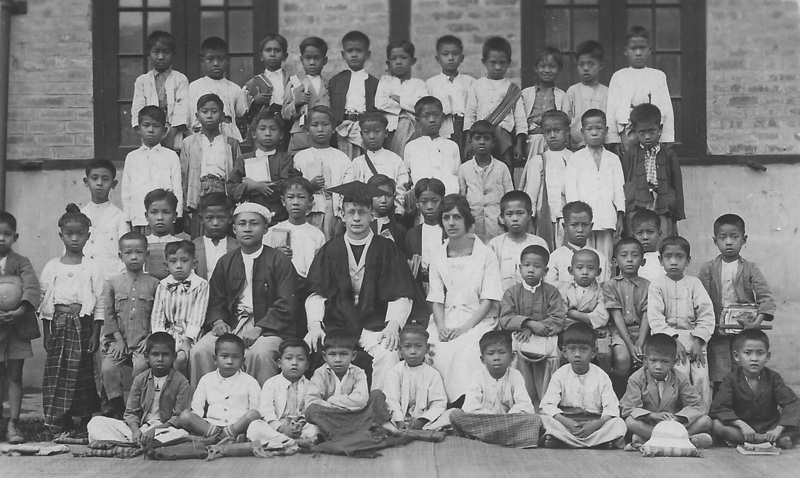 Cushing who was principal from 1894-1906, was formed. 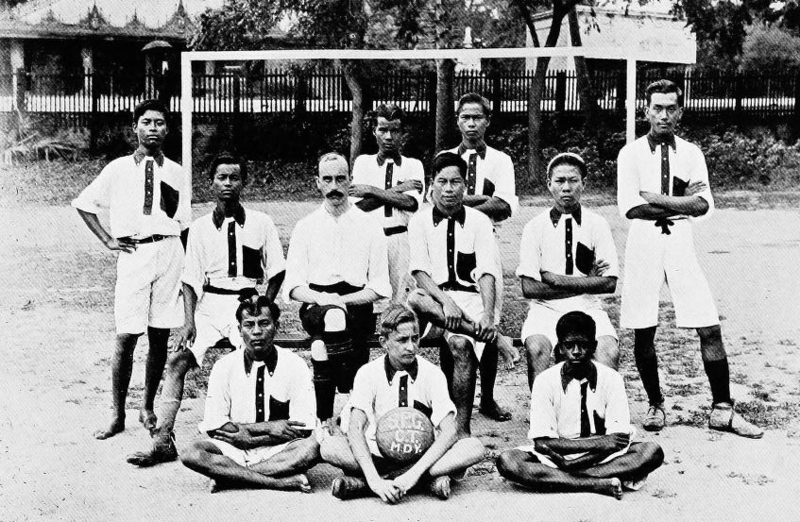 St. Matthew's Boys' School, Moulmein, 1932/33, John, (third row left) and Richard (Dickie) Elton-Bott (middle with arms folded) are two of the boys in this photo.